Both these handsets get the Android Oreo-based EMUI 8.0, which comes with artificial intelligence and smart optimization for an improved performance and strong battery standby. The Independence Day sales have begun and whichever way you look now, it seems like this is the best time to shop. With discount and cashback offers galore from all sellers, the 72nd Independence Day of India has become a time not just for patriotic celebrations but also animated shopping. Here, we show you how you can save in the thousands on two mid-range Honor smartphones that are both anyway great value-for-money buys. The Paytm Freedom Sale has come with excellent discount and cashback offers on smartphones, and among the many handsets that benefit from the offers is the popular Honor 9 Lite. Paytm Mall is giving a flat 20 per cent discount on the 64GB storage variant of this mid-range smartphone, with the three colours Granite Grey, Sapphire Blue, and Midnight Black now going for an offer price of Rs.14,354, Rs.14,299, and Rs.14,249 respectively. Additionally, you can get 15 per cent of the cart value on any of these models by using the one-time promo code MOB15, which will invalidate the cash-on-delivery option then. Upon making the payment online, you will receive 15 per cent of what you are paying for the phone in cashback, with the amount going to your Paytm Wallet. For all cashback offers using Paytm Wallet, your KYC must have been done successfully, failing which the offer changes to a goldback option where you will receive cashback but after a GST cut. There is also an additional 10 per cent cashback on the cart value for using ICICI bank credit card for the purchase that will get you total Rs.5,997 effective discount. 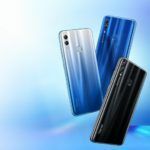 The Honor 9 Lite is a budget mid-range smartphone that comes with four camera sensors, two in the front and two on the rear panel. It has Face Unlock feature and a neat mirror-finish on the rear panel, with the 13MP+2MP cameras on the front and rear getting Beauty Mode and Gender Beauty features that recognize and beautify facial contours based on gender. The design follows the 18:9 aspect ratio with a 5.65-inch Full HD+ display that gets slim bezels and a double-sided 2.5D curved glass. 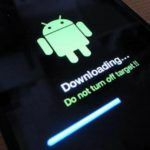 The phone ships with Android Oreo-based EMUI 8.0 skin, which employs artificial intelligence to improve device performance and battery standby. Powering the handset is the mid-range Kirin 659 octa-core processor that can go as fast as 2.3GHz, paired to either a 3GB or a 4GB RAM. 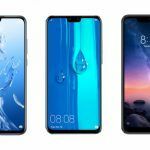 The handset can be bought in 3GB RAM plus 32GB ROM or 4GB RAM plus 64GB internal storage models, with a Hybrid SIM slot for stretching the storage to 256GB. The best saving on the Honor 7X presently is on the Blue colour variant in 4GB RAM plus 64GB ROM storage model. 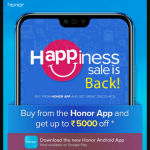 The phone is going for a 14 per cent discount at Rs 15,545, with an additional 10 per cent cashback given by ICICI credit cards and a 15 per cent cashback on cart value for using the one-time promo code MOB15. You can hence save an additional Rs 2,332 on the selling price of the phone, but this Paytm cashback amount will be credited only in your Paytm Wallet, and only if it is KYC approved. 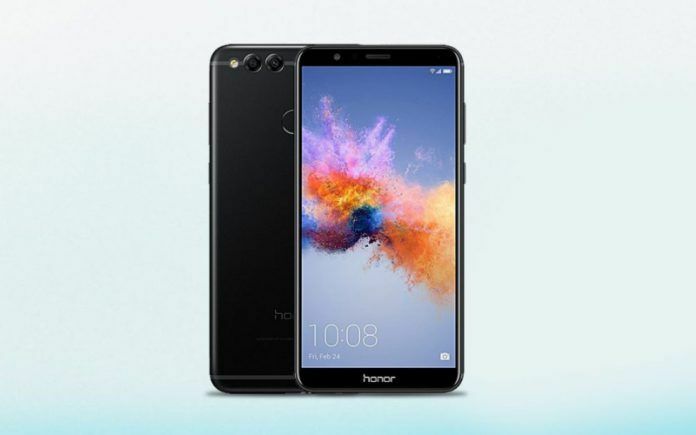 The Honor 7X also ships with EMUI 8.0 based on Android 8.0 Oreo, and comes with artificial intelligence-based optimization and intelligent features, including a fast Face Unlock. However, this phone has a taller 5.93-inch Full HD+ display that churns out the same 2160×1080 pixels. It gets the 2.5D curved glass for the display but has a metal back, with a rear dual-sensor camera and a front single-sensor shooter. The rear camera is 16MP+2MP and gets phase-detection autofocus while the front snapper is 8MP and gets gesture control, portrait mode, and beauty effects. 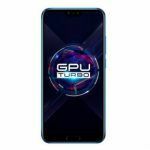 Powering the device is the same 2.3GHz Kirin 659 octa-core processor, and the battery is a 3,340 mAh unit that can take a full day’s work or play. 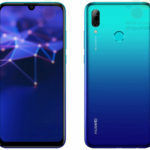 Honor 10 Lite or Huawei Y9 (2019)? Which of These Budget Smartphones Should you Buy?